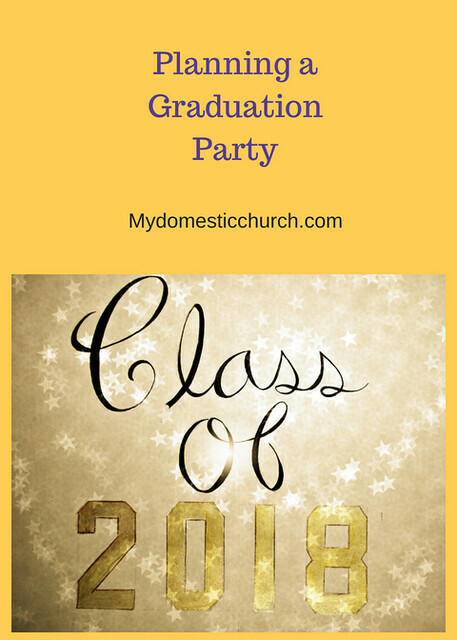 Tis the season when students will be graduating from high school and college and moms and dads will proudly be hosting celebrations of these accomplishments! 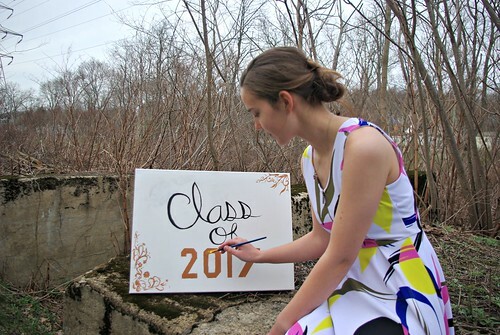 Grad parties don't have to be expensive or elaborate to be memorable and fun. I've hosted three! So here is a little information to get you started. 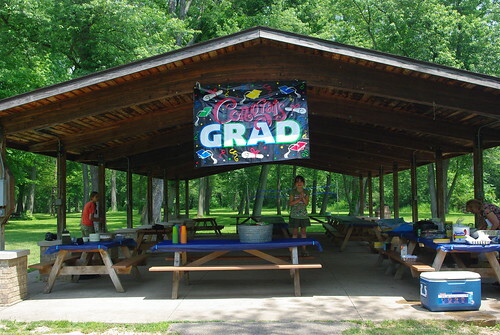 Where are you going to have this grad party? At your home? 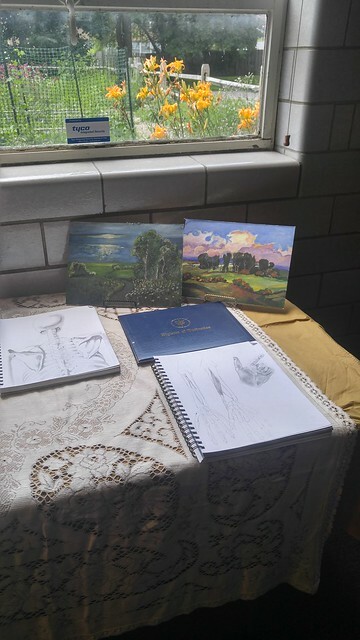 In a church hall? In a park? Decide where you want to have it based on what you can afford and then you can plan from there. 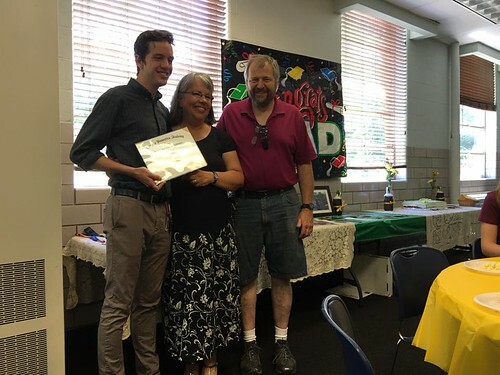 When my eldest and his girlfriend (now his wife) graduated from school together (he from paramedic school and her from college) we joined up with her parents and planned together. We rented a pavilion in a nearby park. For two of my high school graduations, we simply rented an air-conditioned room in the church hall. The capacity of the venue will give you some idea of how many people to invite. More on that below! 2. When is your party? Saturday or Sunday afternoon? are you going into the evening? If it's a typical open-house situation, where people can come and leave whenever they want, you will never have all of your guests in the same place at once. If your venue has access to a lawn or outdoor area, younger guests will probably play outside some of the time. After you have when and where figured out, you can start getting a guest list together. Other classmates or homeschool families, friends from church, friends from other activities like sports and dance, or from other activities (4H, boy scouts etc) and last but not least, beloved relatives - aunts, uncles, cousins, and dear family friends. A good rule to remember is that only 2/3 of those invited will show up. You still need to invite them. We always invite my 95+ old aunt to everything even though I know there is no chance she will ever be able to attend. I do that because I love her and I want her to know that we think of her and I don't want her to ever feel excluded. We send invites to all of our distant relatives for the same reason. These invitations make nice souvenirs too so I enjoy getting them even if I cannot attend the party. These can be really inexpensive - cards from the store with a senior picture tucked inside. Or you can order specialty invites from Walgreens, Shutterfly or Snapfish. If you go with the printed or handwritten invitations, be sure to request an RSVP either via text, phone, or e-mail. I did a special event page on Facebook and that was somewhat successful, but not everyone is on Facebook, especially older adults, and I felt that many of the people who are on Facebook didn't take the time to respond! So it's iffy to depend on just a Facebook Events page for an accurate number of guests. E-vite is another way to go and this might be more accurate. You need to have everyone's e-mail address though. Try to have all of the invites done - snail mail or electronic, at least a month ahead of time. 5. Pick a color theme because it makes the venue look more pulled together and planned. 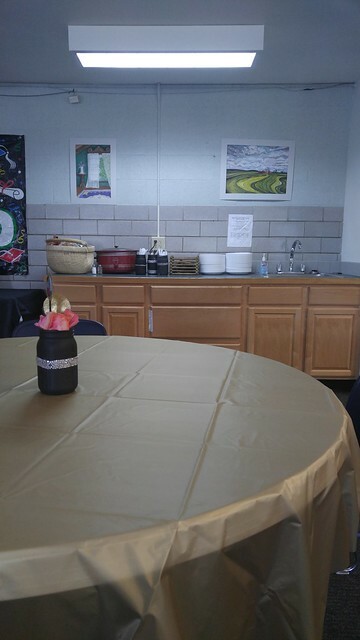 My son and his girlfriend had a black and gold theme. 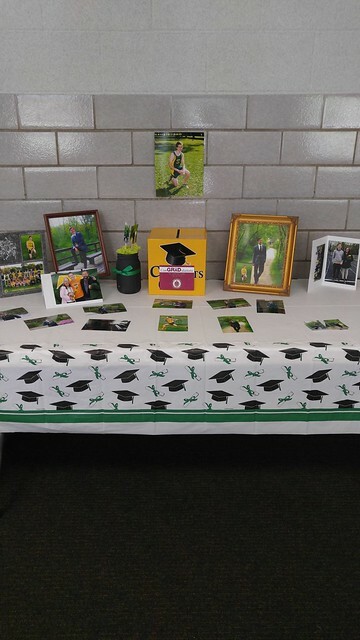 My fourth son ran with a local high school and was inviting all of his running friends to the party, so he used their school colors of green and yellow. My daughter went with black, gold, and diamonds which was kind of fun. Once you have that settled you can start purchasing your tablecloths, napkins and other decorations. You can carry out your them in the table coverings, napkins, and cutlery. I just used regular white paper plates and cutlery for everything and then had special graduation plates for the cake. 6. If you're going to have a cake, order it ahead of time, I'd say at least two weeks. A full sheet cake can feed 70 to 80 people. You can probably stretch that a little bit and not everyone will eat cake. I went to one open house that had cupcakes instead! But I think instead of making all of those cupcakes it's probably easier to just cut small pieces of the sheet cake for guests. If you have fruit or ice cream, that makes it go a little farther as well. 7. But your guests cannot survive on cake alone! Most folks expect a bit of a meal at these open houses. This is what worked for us. I ordered a meat and cheese platter from my local grocery store. They provided the meat and cheese and the relish but we bought all the bread and buns at the discount store. We also had a big crock pot full of sloppy joe meat, so there was something hot if someone wanted that. We had a kiddie pool full of ice for homemade potato salad (I cooked up a 5-pound bag of potatoes for that), and other salad items. The pool of ice kept everything cool so that even the people who came last could have something fresh to eat. We also had chips and a fruit salad. We made all of our centerpieces. In fact, the mason jars we used for Noah's party in 2016, we repurposed for Izzy in 2017 with just a few simple changes. 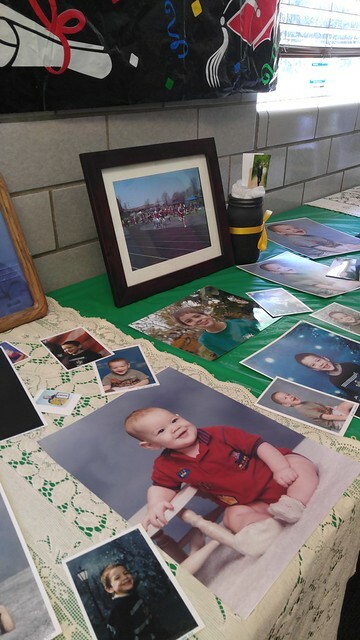 We also put out a lot of baby pictures and childhood pictures because visitors love to look at that type of thing. 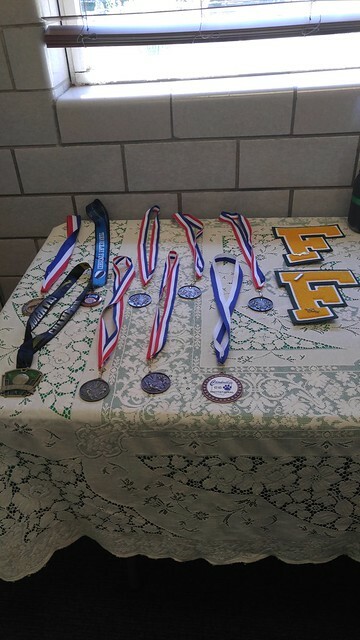 Because Noah was a varsity runner, we had a lot of running photos and his awards and medals. We also downloaded over 200 pictures for the digital picture frame that played throughout the open house. 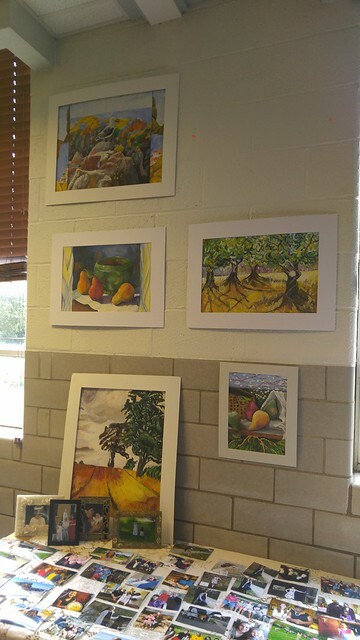 For my artist Izzy, we decorated the room with her artwork. 9. When your party is also the graduation! We gave diplomas to our graduates in the midst of their parties. Mr. Pete and I said a few words and then just gave them their diplomas. I sort of liked the intimacy of doing that in front of friends and family. 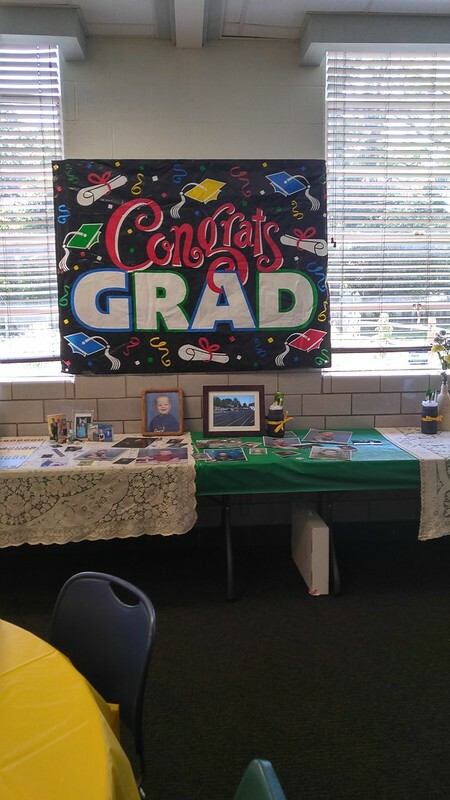 A few years before I had organized a homeschool graduation mass for my graduate and it was beautiful but very stressful. I'm not saying I won't do that again if Rosie wants that at her graduation, but I hope she opts for just doing it all at the open house. In fact when Rosie graduates, she will be in a very big class of homeschoolers her age. So we'll see. We might do the ceremony and diploma there, and then just celebrate at her open house. Time will tell. 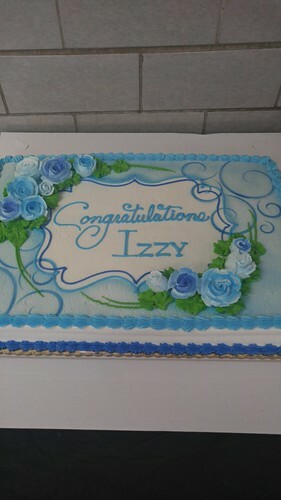 Izzy made a graduation sign last year for her party. She updated it this year for new graduates. If you would like a pretty graduation graphic for free, sign up for my newsletter and get the link in your welcome letter.